I recently got the opportunity to play with Gallery 9 Premium Acrylic paint set. A complimentary sample of the product was sent to me in exchange for an honest review. 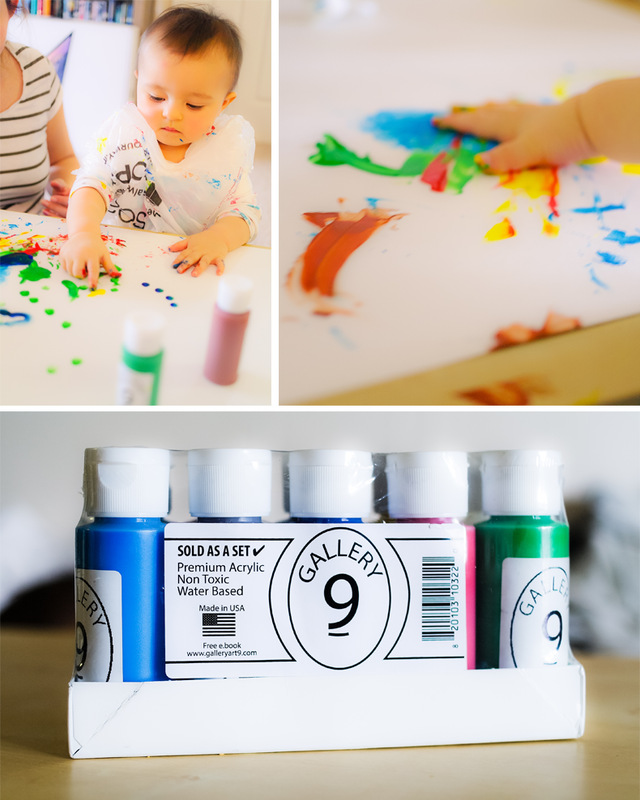 Because I'm not much of an artist (I make digital art, but not real-life art) and I couldn't draw a straight line if my life depended on it, we decided to just have some family time with this set and do some finger painting. 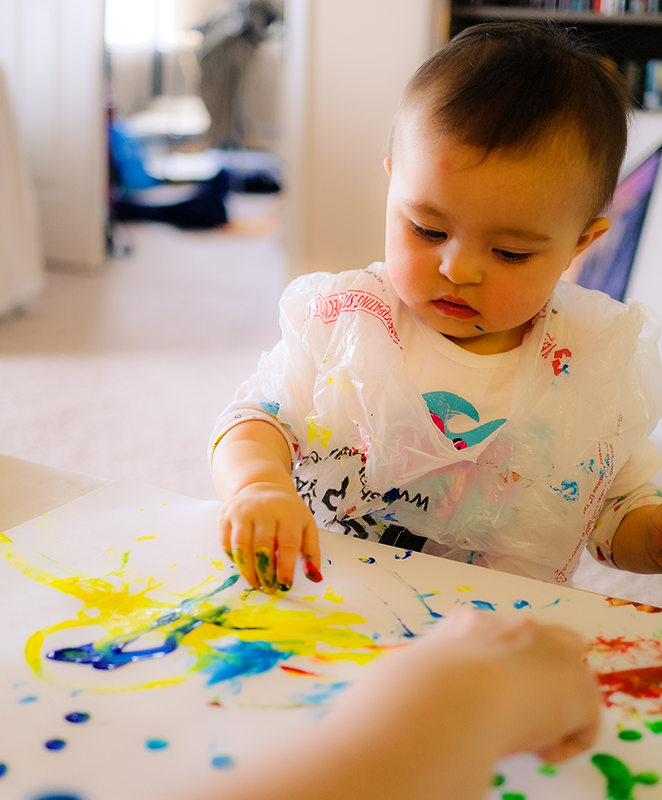 The seller has assured me that the paint is completely non toxic and safe for my child to finger paint with, so we grabbed a couple of large, thick paper sheets from the art store and got the party started. First thing that you notice when playing with the Galley 9 paint is the absence of any kind of odor. 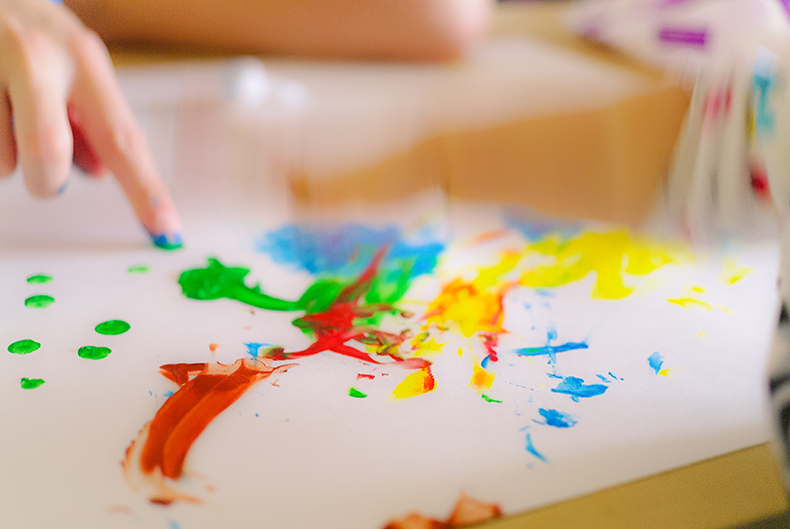 It's great for body painting and finger painting with your children, but it's also perfect for all sorts of crafts. This is a water-based paint, made in the USA, designed to be safe and long-lasting, but also very easy to clean up. After we were done finger painting, it took me 20 seconds of washing in lukewarm water to clean my daughter's hands. The paint just kind of flaked off nicely, leaving no trace of color or smell. The colors are incredibly pigmented and vibrant. They just pop! They're also very blendable and velvety in texture. You only need a tiny drop of the paint to be able to smooth it out nicely. The thickness of the paint is just right - concentrated enough for extra vivid color and definitely not watery. 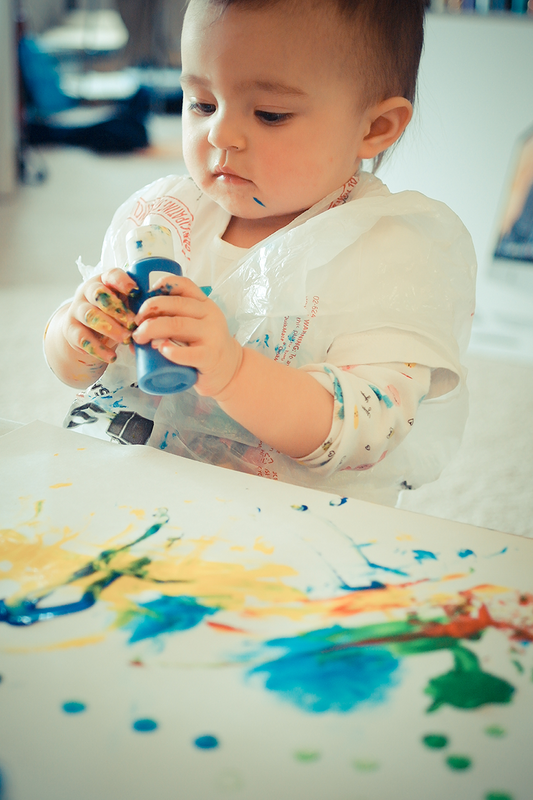 The kid and I had lots of fun with these paints, and there is still plenty left for my little artist to practice her skills. We played with the paint for about an hour and covered one large sheet with colorful splashes, but the bottles seem just as full as before, so I'm pretty sure this set will last us a long time. I'm very pleased with the quality of these paints.